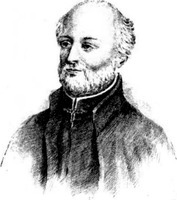 MILLET, PIERRE, priest, Jesuit, missionary; b. 19 Nov. 1635 at Bourges; d. 31 Dec. 1708 at Quebec. Pierre Millet entered the noviciate of Paris on 3 Oct. 1655, and from 1659 to 1663 he taught junior classes at La Flèche and Compiègne. He studied theology in Paris for four years and was ordained in 1668. He arrived at Quebec on 5 Aug. 1668. As Onondaga ambassadors had made a plea for missionaries, the newcomer was assigned to the Onondagas. He lived among them with Father Julien Garnier and learned their language rapidly. In 1672 he became a missionary to the Oneidas, an ill-tempered tribe. Millet’s skill and pleasant disposition gained him the affection of his hosts, among whom he founded a Confrérie de la Sainte-Famille in 1676. The Senecas had attacked the Illinois and killed several French traders at the end of February 1684. 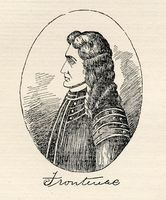 The Jesuit played a prominent role in the great Iroquois council, held a few months later, which considered means whereby the French might be appeased. He was sent as a representative, together with Father Jacques de Lamberville, to Governor Le Febvre* de La Barre, when the latter was going to Fort Frontenac (Cataracoui) on his way to punish the Senecas. He took part in the negotiations at Anse de La Famine (Mexico Bay, near Oswego), on 2 Sept. 1684. Father Millet then resumed his ministry among the Oneidas, but he was recalled in 1685, with the majority of the missionaries to the Iroquois country, in anticipation of the expedition which had been prepared by Brisay de Denonville against the Senecas. The governor entrusted to him the task of interpreter at the great council called for 1687 at Fort Frontenac. The 1687 expedition made it impossible for the missionaries to return to the Iroquois country. Millet had to remain at Fort Frontenac as chaplain until the spring of 1688, after “which he went to Fort Niagara to replace Father Jean de Lamberville. On 15 September he had to leave again, because this post was being abandoned. 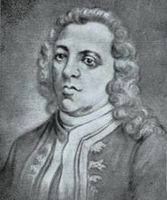 In June 1689 the Iroquois devised a ruse to capture him at Fort Frontenac, along with the surgeon Pélerin de Saint-Amant. The prisoners were subjected to the usual ill treatment, and were taken as far as the island of Toniata (Grenadier Island, near Brockville), where a council of four of the Iroquois tribes was held. The Jesuit was handed over to the Oneidas, who took him into their country. Thanks to the good offices of certain Christian notables, Millet was finally adopted and was given the name Odatsighta, to commemorate a founder of the Iroquois confederation. This favour conferred upon him a lofty rank in the councils. He was thus enabled to continue the ministry he had abandoned in 1685, but he was exposed to slander from the other tribes and from the English, who feared his influence. The Oneidas resisted these pressures and protected him. During this period Father Millet was in touch with Peter Schuyler of New York, and particularly with Godfrey Dellius, the pastor at Fort Orange (Albany, N.Y.). As warfare persisted between the English and French, the Iroquois harassed the French colony. On several occasions, however, they made a show of desiring peace. In May 1694 a delegation from the Five Cantons came to see Buade* de Frontenac, requesting that negotiations be opened. The governor demanded the liberation of the prisoners. Thus, in October, the Jesuit returned to Quebec. He first resided at the college, then in 1696 he assisted Joseph-Louis Germain in his ministry at Lorette. The following year he acted as parish priest at the same place. Finally, we come across him again among the Iroquois at Sault-Saint-Louis (Caughnawaga), where from 1698 on he spent the last years of his active life. In 1704 he returned, a sick man, to the college in Quebec, where he lived for another four years. ASJCF. Coll. de documents relatifs à la N.-F., I, 488, 571, 595; II, 59, 80, 87. NYCD (O’Callaghan and Fernow), III, IV, IX. Campbell, Pioneer priests, 240–61. Rochemonteix, Les Jésuites et la N.-F. au XVIIe siècle, III, 185–200. Lucien Campeau, “MILLET, PIERRE,” in Dictionary of Canadian Biography, vol. 2, University of Toronto/Université Laval, 2003–, accessed April 24, 2019, http://www.biographi.ca/en/bio/millet_pierre_2E.html.